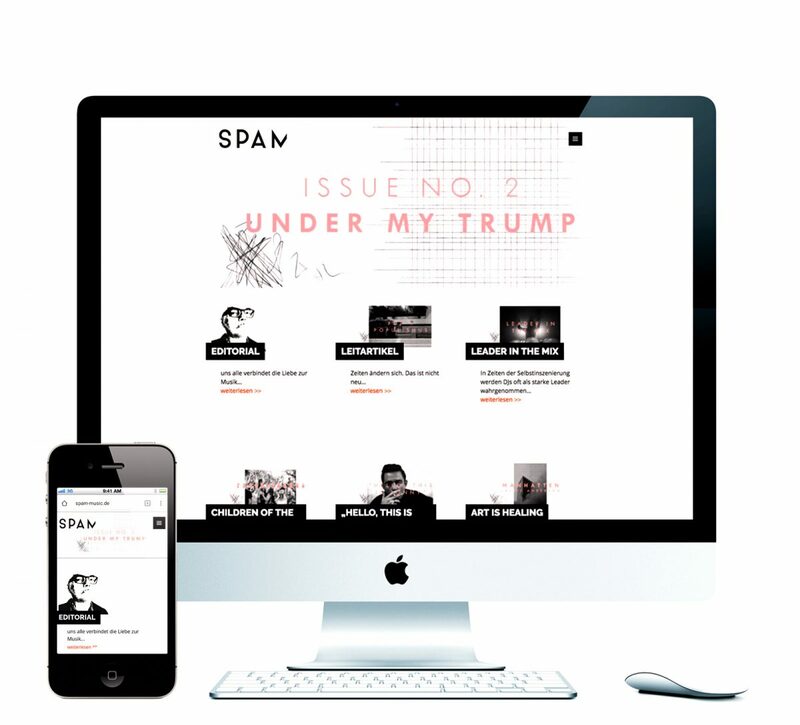 ZSUWD has coded the website of SPAM Music, Berlin´s newest and hottest online music magazine. The magazine´s design is well ordered and easily understandable focussing solely on its content. Single articles are filtered by categories and can be arranged and displayed at runtime by the user. The website´s mobile first approach convinces with an always reachable simple navigation system with prominently arranged buttons and clear messages.